Finding your ideal bed is a challenge. It’s harder if you’re larger or heavier than average. Many mattress companies make their products without considering the needs of 300+ pound people. Traditional models won’t provide you with the support, cushion, and durability you need. Our mission is to find you the best mattress for plus sized people. We’ve reviewed the top companies and dug deep to make sure their products were made for you. We found some fascinating things during our research, and we can’t wait to share them. With the wrong bed, you’ll comprise your sleep, negatively impacting your health. Trouble Sleeping has been linked to many negative health effects, which ironically include increased weight gain. 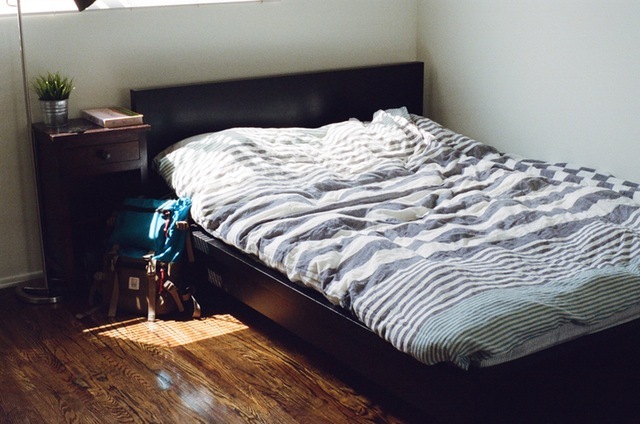 Your bedroom furniture can trap you in a vicious cycle, becoming a huge issue in the long term. Because you mattresses affect your health, a great bed is an investment in your well being. Not only does sleeping better help your health, but it also makes you a happier, more enjoyable person. So bad sleep is a big issue, yet many people don’t address it. This is why we wrote this article on the best mattresses designed for larger people. I am 250+ lbs and I want a mattress that provided me with support to keep my body healthy. That provides a good night’s sleep. There are so many to choose from it can be difficult to figure out which model are the best choice. Online Shopping can make this even harder. There’s no way to test the products before buying them. That’s why it is important to find reliable, in-depth reviews from large people like myself who know what we need. We’ve done extensive research to find the best mattress for heavy people. Our in-depth reviews with take you through everything you need to know about each of our recommendations so that you can find your perfect bed quickly and easily. Once you are ready to make a decision our links will take you to Amazon the most trusted e-commerce site to make a purchase. We’ve put lots of thought into the key factors that make a model good for heavier folks. You’ll find the absolute best options for the plus size sleeper below. We’ve included a guide along with our reviews, to help you think about how to shop for your new bed. How many people will be using the mattress? What’s their combined weight? It’s important to nail this down before you start shopping, so you know the model you’re looking at is rated for that total weight. It’s also important to consider how much each sleeper weighs, so you can get a sense of how much weight will be concentrated in a given area. What’s your preferred comfort type? Do you prefer more cushion, or more structure? There are lots of options out there, so you’ll want to have a strong sense of your own preference going in. Is this a primary bed? If so, you’ll probably want to spend a little more on it. It’s perfectly reasonable to splurge on a master bed since you’re going to be on it every night for years to come. If it’s a secondary, guest bed, you can probably get away with something a bit less deluxe. How much can you spend on your new bed? You want to get this nailed down before you start shopping. None of our recommendations will cost you $1000, even in a King size. We’ve tried to be very cognizant of the average shopper’s budget. The great thing about online shopping is that beds are so much cheaper than at the store. However, we’d recommend that everyone who can spend a little more and get out of the budget range–should do so. Budget mattresses aren’t thick or sturdy enough for obese and heavy people, and they don’t have excellent durability ratings. Is the model I’m considering durable? What’s the warranty coverage like? Plenty of beds will be comfortable for heavy people at first but aren’t durable enough to support heavy people long term. We’re all familiar with spring beds sagging. That can be a big issue for heavy people, so you’ll want to look only at spring beds with separate coils. That way your weight is spread out and isn’t causing the whole net to sag. Memory foam is more durable, but some lesser foam products can “cave” and develop significant soft spots. We’ve taken care to make sure that the models we recommended don’t have any history of caving or collapsing. Latex mattresses are the most durable options on the market, so we’d recommend them to heavier people who can spend a little more on their bed (since latex is also the most expensive material). No matter which type of product you opt for, you’ll want to make sure your purchase is backed up by a solid warranty. Look for coverage of at least ten years. Are you a hot or cool sleeper? This might not seem like something that’ll decide a mattress choice, but it absolutely should! Hot sleepers want to look for memory foams with gel beads or open-cell architecture to disperse heat more evenly. You’ll also do better with top layers that don’t allow for as much “give” when you lay down. That way, more of your body is out in the air. Do you sleep on your side, or on your back or stomach? Depending on the answer to this question, you’ll want to consider depth and layering of materials in any new model. Back and stomach sleepers distribute their weight evenly across the bed, so there are just a few low-key pressure points: the hips, upper back, and head. Nearly any decent mattress is designed to relieve those pressure points. If you’re a side sleeper, your weight is a bit more concentrated, and your body shape will hit the top of the bed more unevenly. That means you’ll want a deeper mattress, with enough give to relieve pressure, but enough structure underneath to keep your spine from curving as it sinks into the product. If you consider these questions before you shop, it will be much easier to make your final decision on a bed. Now that we’re thinking about all the factors, let’s have a look at some of the best options available for heavy body types. Sleeping is such a huge part of our lives that we need to pay more attention to it. That is why we have compiled a list of top quality beds for heavier, overweight, and larger people. We understand how hard it can be sometimes to look for the perfect mattress especially if you are on the heavy side but you don't have to look any further as we have got your back on this. Let's check these top-rated beds out and see what suits your needs the most. Now that you've seen our summary of these great mattresses for heavier, larger and overweight people, let's into detail and we will discuss each and every single one of them to help you pick whichever works for you. Take note that we have tested all these products ourselves, so rest assured that you will only be getting accurate reviews from us. Our top quality recommendation for heavy people is this Lucid. It’s a big, deluxe mattress with a full 14″ of support and cushion. We love the layered foam build and plush cushioned feel for giving larger people plenty of giving without allowing the bed to collapse. So, if you are asking "what is the best mattress for a heavy man?" then you might have the answer right here. Lucid is one of the companies out there that have taken the time to make sure that their customers are taken care of. 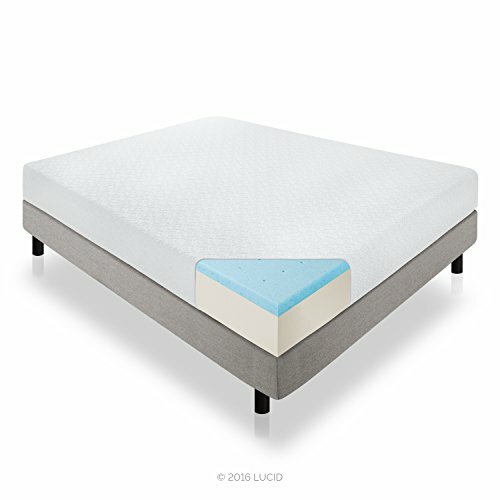 A higher priced model compared to Sleep Innovations, the Lucid 14-inch Plush Memory Foam bed is highly rated by buyers. If you think you are a certified heavyweight and are looking for the "best mattress for big guys," then you are searching in the right place. This company won't disappoint you if you get a model from them. You'll sleep better for sure. It has four different layers of foam. These various layers work together to ensure that you get all the key aspects of a great night’s sleep. Our favorite layer is the 1-inch bamboo charcoal memory foam top. It’s hypoallergenic, which is ideal for those people suffering from skin conditions, allergies or sensitive skin. It also massively reduces the off-gassing odor the bed produces when you first get it. Beneath the surface, this model also includes a further 3-inch memory foam comfort layer for added cushion, a 2-inch memory foam support layer and an 8-inch high-density foam base. ​The high-density base foam provides the support you need as a heavy person. And with so a good 4-6 inches of comfort foam on top of that, it provides the “give” to make you comfortable and alleviate pressure points. The extra depth also makes this model an excellent choice for heavier people who sleep on their sides. ​It’s made from high-quality foam. All the foam used is CertiPUR-US Certified, meaning it has been independently tested to have lower levels of chemical emissions and off-gassing right out of the box. It’s hypoallergenic, and there is no latex present in this cushion, either synthetic or natural. The bed is also free of CFCs, mercury, and formaldehyde, which are frequently found in cheaper, untested models. ​It’s very affordable, especially given how deep this bed is. 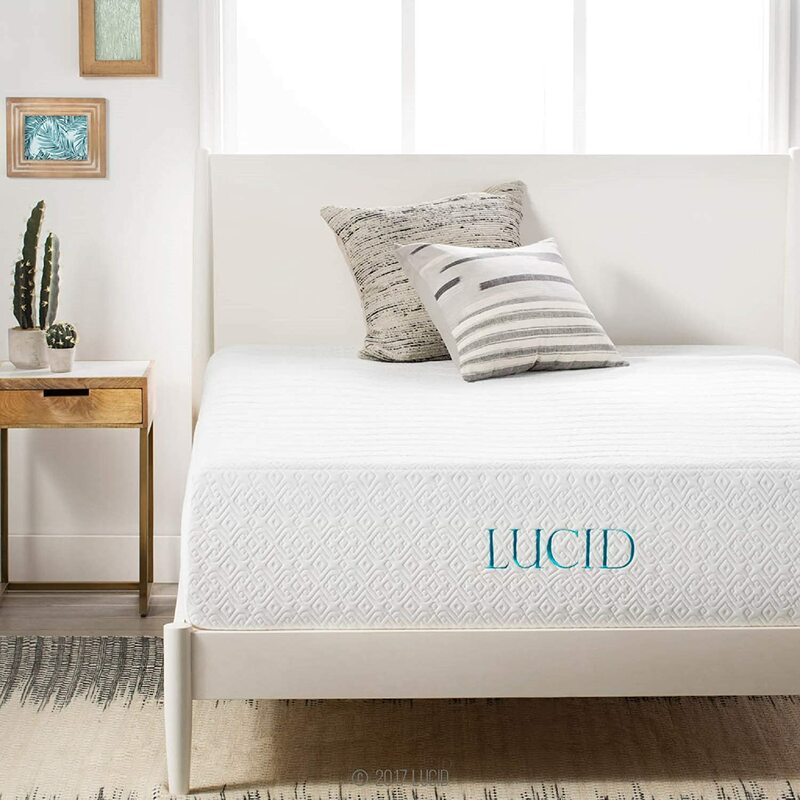 Lucid’s Memory Foam Mattress costs between $350 and $800 depending on the size that you’re looking for. Considering the high quality of the foam, and the sheer amount of foam you’re getting this is a very competitive price. 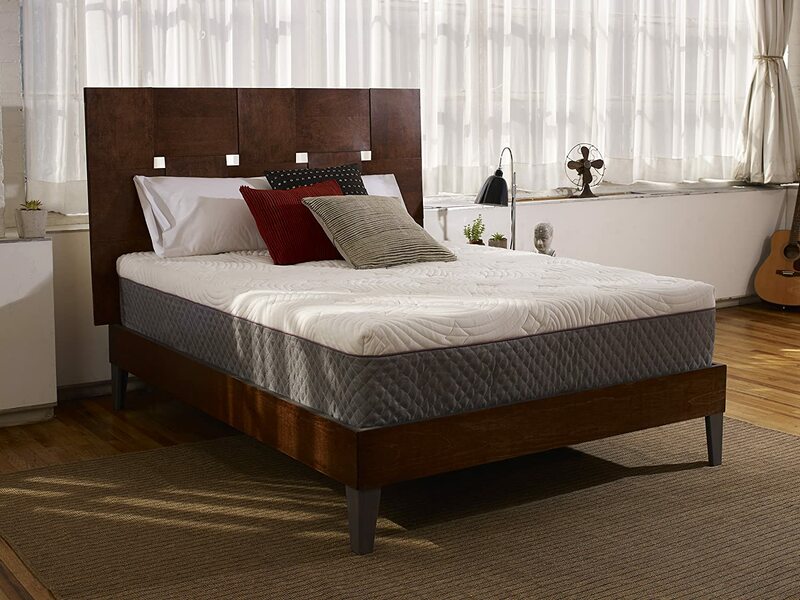 ​This model carries one of the longest warranties currently on offer in the bedroom furniture market! Lucid offers a guaranteed 25-year warranty on all of their products, leaving your purchase very well insured. The company states that they pride themselves on time-tested durability and quality, and are happy to prove it. We’re also impressed with how helpfully they respond to customer concerns online. Those heavy buyers looking for a softer sleep experience are likely to find this bed ideal for their needs. The multi-layering of foam means that you’ll be able to sink right into the bed, without worrying about hitting bottom. But, if it’s firmness you’re after, this isn’t a suitable model. Buyers have reported it does feel a fair amount softer than other similar models available. ​Another consideration with a softer product like this is that it can be harder to change positions in the middle of the night, since the foam cocoons your body. 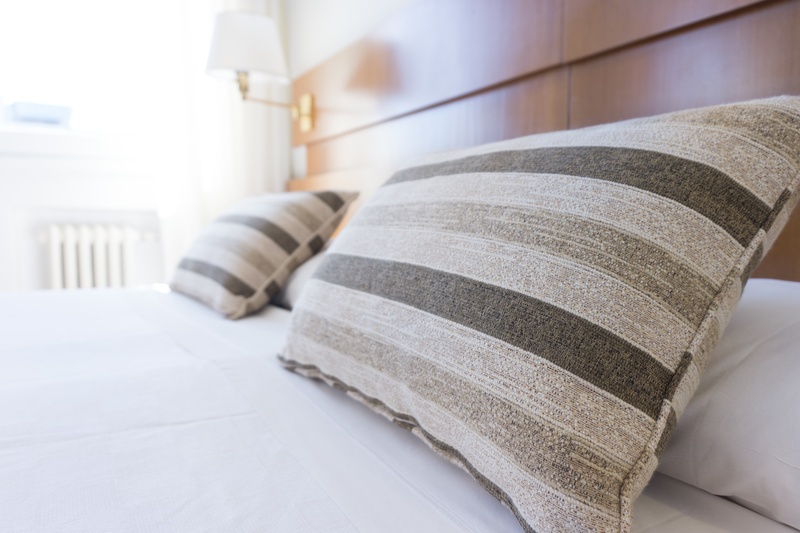 If you’ve owned a memory foam mattress before you’re unlikely even to notice this, and those new to memory foam will quickly adjust. Most sleepers find that tossing and turning is a result of a bad product in the first place. This one will help you stay comfortable in one position, which ensures deeper, more therapeutic sleep. This mid-priced bed offers a lot of memory foam for a very reasonable price! We like its layered construction, temperature control, and excellent warranty coverage. It’s a good choice for heavy people who like a firmer, more structured bedding with plenty of support. Sleep Innovations is one of those companies that are dipping into all the different needs of people from various walks of life. This is also the reason why they have one of the "best mattress for heavy people." They have dedicated their time and energy to building the perfect design. This is a medium-priced bed, in comparison to other memory foam models. Despite this, the Sleep Innovations still offers some more premium features. What we love most about this product is that it’s a nice, solid 12-inches thick. This means it provides good support, with plenty of room left over for cushion. It also means that heavier people won’t have to worry about bottoming out (hitting bottom) of the cushion. With these features, you can surely call it the best bed for a heavy person. It does have all the benefits to make that kind of claim. There are two types of foam, to help this one achieve the perfect balance between support and cushion. The bottom layer of structured, responsive memory foam, some 9.5 inches thick, supports you while you sleep. It keeps you from sinking too far into the bed, while still relieving pressure points. The top 2.5-inch layer of SureTemp foam provides comfort and temperature regulation. The SureTemp foam is an exclusive feature for Sleep Innovations. Made of open cells that can adjust to your body as you sleep, the foam contours around you to keep you comfortable and cushioned. At the same time, the foam allows heat to escape from the foam, a standard issue with memory foam beds which cradle your body. This material makes the Sleep Innovations a good option for obese people who sleep warm. If you’re the kind of person who is looking for firm back support and spine alignment, the Sleep Innovations mattress is a perfect choice. Most buyers found that while this one felt a bit stronger than other memory foams, they were more comfortable after a week of sleeping on this one. The firmer foam is ideal for heavier body types, which can only crush and negate softer, less structured foams. It’s a good choice for back sleepers and stomach sleepers in particular. Sleep Innovations are so confident in their product that they offer all buyers a 20-year manufacturers warranty on the product! That’s very impressive, given the price. If after using the bed, customers aren’t satisfied, they can return the product for a replacement or refund. Some buyers have reported that although the SureTemp does work well, this is still not a bed for those who overheat while asleep. The contouring nature of the product means that, although air does move, some people may be a little warmer than on a traditional spring mattress. If you have serious problems with overheating at night, we’d suggest a memory foam model with less give, or a spring model, which will be airier overall. This will help you sleep better at night. So, what is the best mattress for fat people? Sleep Master is for sure a candidate to that claim. There is no doubt about it. The Sleep Master is our most budget-friendly recommendation for heavy people. It’s a bit thinner, at a depth of 10″ but provides smart 3-layer construction, solid construction, and the support base you need as a heavier sleeper. This technology provides the user a better sleep by adding more support and comfort while they are on it. Having this results into a deeper sleep and more health benefits in the long term. 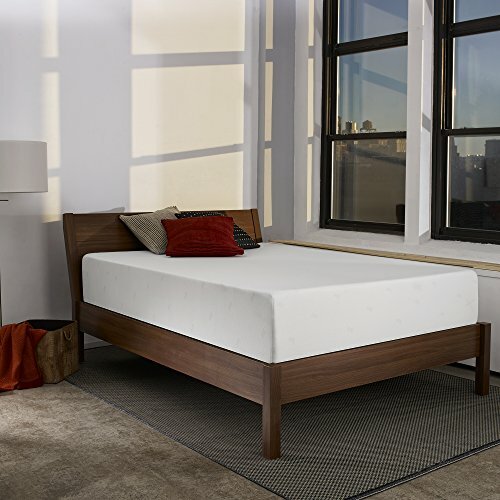 If you’re looking for a budget mattress that still allows you to experience the comforts of memory foam, the Sleep Master is perfect for you. Although only 10-inches thick, the Sleep Master is a competitively priced product. It is the great value if you want the benefits of a memory foam bed without the exorbitant price tag. It's a great mattress for a big man. You can count on that. ​It’s very comfortable. While this bed is a bit thinner than our other recommendations, it’s loaded with plenty of cushioning. This one has a 3″ top layer of memory foam cushion, and a further 2″ comfort layer for relieving pressure points as you sleep. Underneath, there are a solid 5 inches of base support foam which prevent you from sinking too far down. It also keeps the bed durable over the years. ​It’s incredibly affordable. This model is available for half the price of the Lucid option, and it’s got many of the same features. So, if you are looking for mattresses for large people, then you are in the right place. Sleep Master will not only provide comfort and support, but it's also innovative in its aesthetic design. It's one of a kind product that is a must-have these days. ​Even though it’s a budget-priced bed, it’s built like a midrange model. All of the foam used is Certi-Pur tested to be low-emissions. It’s also a bit greener since Sleep Master has replaced some of the petroleum with natural plant-based oils. ​It’s very low-odor. One of the biggest complaints that buyers new to memory foam have to their mattresses is that the foam has an unusual smell. Sleep Master have combatted this on their 10-Inch model by infusing the product with Evergreen and ActivCharcol. Evergreen extract, from green tea, neutralizes odors from the bed and usage. ActivCharcol in the top layer absorbs moisture and also minimizes the sources of odors both out of the box and over years of use. ​It’s covered by a very reasonable 10-year warranty. Like the Lucid, buyers of the Sleep Master noted that this model is more of a softer feel than other beds. After all, it has a full 5″ of memory foam before you get to the support layer. That’s good news for heavier people, but it also means it may not be suitable for those wanting a firm surface in their beds. Those looking for the most popular mattress for heavy folks would be happiest with the Sleep Innovations 12-inch SureTemp model. Thousands of buyers have purchased this model, and the 20-year warranty gives ultimate peace of mind. Sheer numbers show that this product is a smart choice and a popular one with buyers. We like the cooler foam top, as well as the bargain price for 12 inches of foam. It’s the best option for people who like a firmer bed overall. This could very well be the best mattress for overweight people. With its combination of pricing, benefits, comfort and design, it can make that very bold claim. It's such an easy product to use, and it's also one of the more comfortable ones, it's like sleeping in heaven. If you've never tried it before, now might be a good time to do it. Buyers who want the most deluxe model should go with the L﻿﻿UCID 14-Inch Plu﻿﻿sh Memory Foam mattress. This luxury model is ideal for those with allergies and sensitive skin, with a bamboo charcoal top, and four layers for sleeping comfort. This product has been consistently highly rated by buyers, and is a smart choice for those wanting the best overall bed. We particularly love the 14″ depth, which provides plenty of room for deep cushioning and solid support in one piece. People looking for the most budget-friendly option for larger sleepers should buy the Sleep Master 10-Inch Pressure Relief Memory Foam mattress. This is by far one of the cheapest models on the market that still offers a high quality, durable foam suitable for heavier people. We like the high-density support base, which is a major upgrade over cheaper beds (especially in terms of durability). This bed is also an ideal way to test out memory foam mattresses and make sure they’re right for you, without breaking the bank. If you still aren’t sure exactly what kind of product you’re looking for, why not look at some of our other products here? We’ve provided a wealth of information on choosing the perfect mattress, and plenty of tips and advice to help you make this important decision!